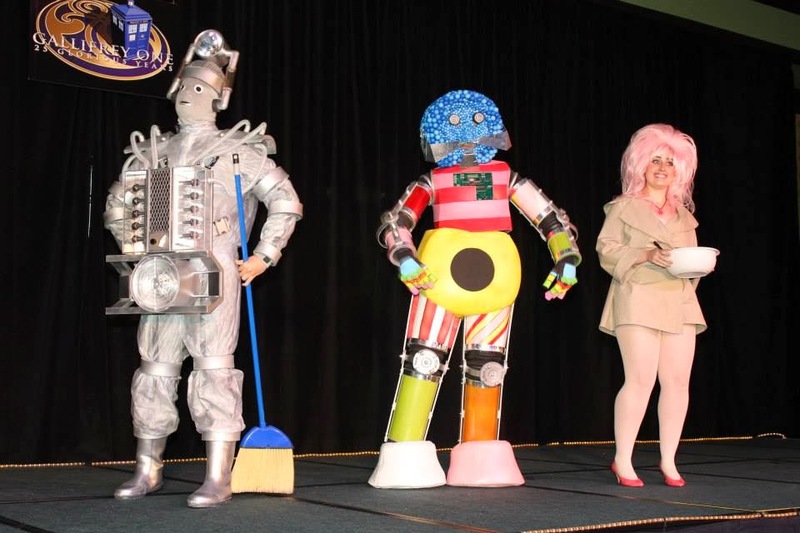 Making My 7th Doctor Costume: Gallifrey One 2014 - Kandyman THE REVEAL! 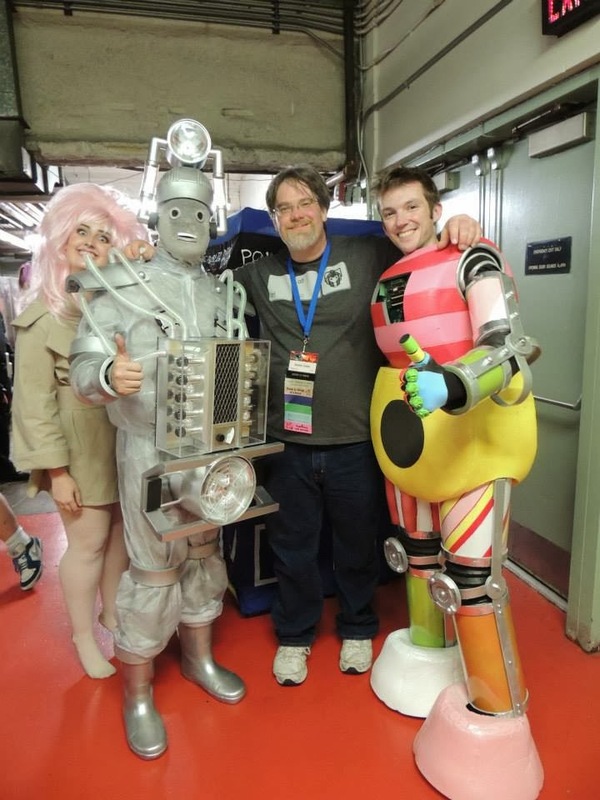 My friend Kevin Coppa, who I made the Ultimate Tennant Suit for, has always been a fan of the Kandyman - don’t ask me why. 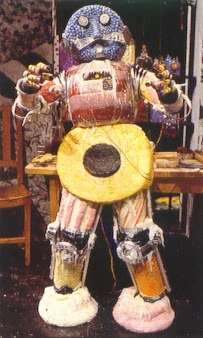 For several years now he’s wanted to build his own costume to wear at Gallifrey One and this was gonna be the year he did it. Sadly though a variety of bad luck and ill health he had to put his plans on hold, meaning he would miss yet another chance to surprise everyone with his planned Kandyman costume. 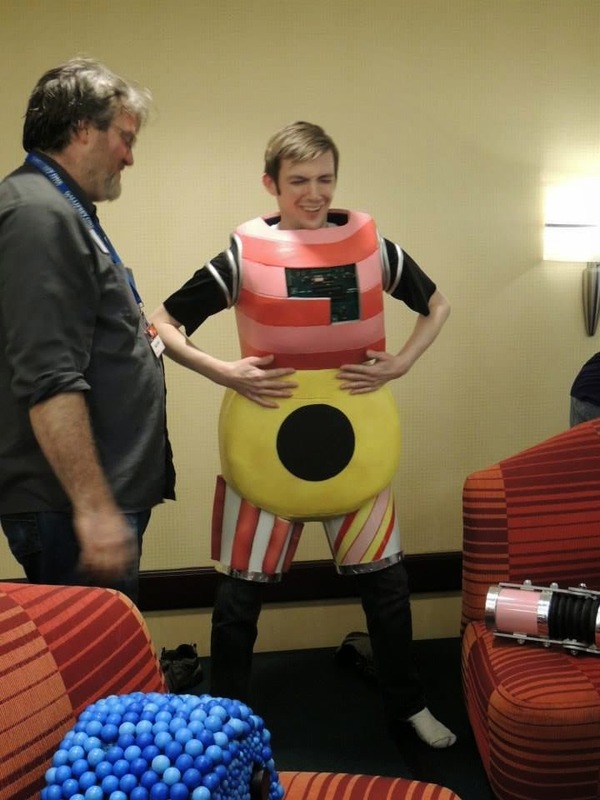 Well, the liquorice boot was on the other foot, as a number of his close friends, myself included, colluded to build him his Kandyman suit as surprise - only revealing it to him on the day before Gallifrey One kicked off. I provided the measurements used to make his suit, which were passed to Malaki Keller, who is an absolute GENIUS with sheet foam. 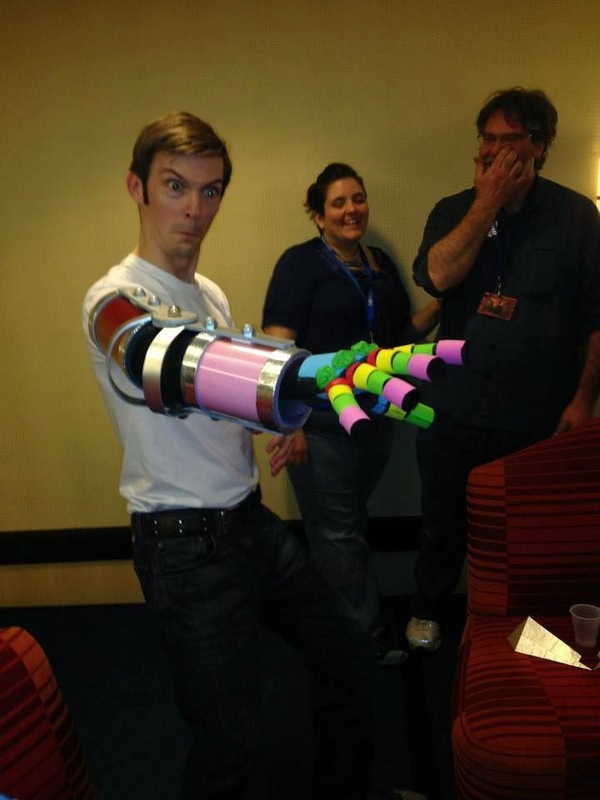 He was the brains behind the build. The reveal was made under the guise of a rehearsal for one of Bob Mitsch’s sketches and I kept Kevin out of the way until the were set and ready. I walked through with him, and videoed his reaction. (3) it is for him to KEEP. Here’s Kevin trying the suit on for the first time. The attention to detail that Malaki has achieved is amazing, especially when you understand must of it has been made from foam rubber to make it as lightweight as possible. 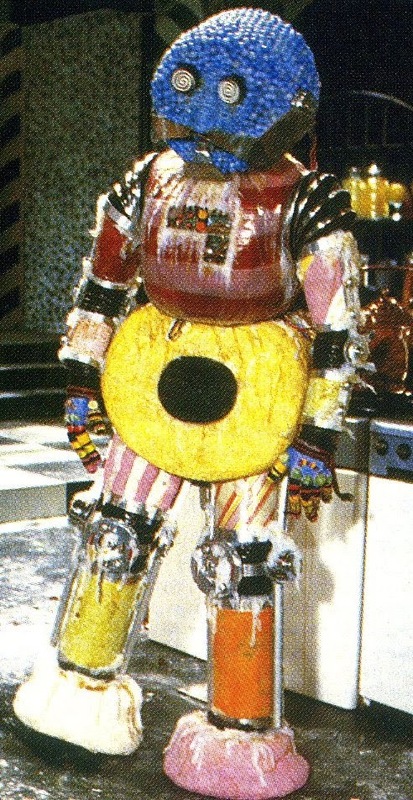 Kevin entered the Masquarade alongside Bob Mitsch in his superb Tenth Planet Cyberman. Hereis Kevin with Bob in costume, with Malaki and Kevin’s girlfriend Rachel as a member of the Happiness Patrol. Here are the gang on stage for the Masquerade. The suit went down a storm! This was a superb piece. I had no idea it was made as a surprise for him. Lucky lucky boy! Beautiful work, and a beautiful gift.